Jacob Hooy CBD Oil 2.75% contains CBD (cannabidiol) which is an active substance found in hemp oil and is extracted from the leaves and flowers of the hemp plant. Put a few drops under the tongue 2-3 times a day. Max 15 drops. Leave the oil in the mouth for 1 minute before swallowing. Gradually build up the dose. Jacob Hooy CBD Oil is non-psychoactive and the content of THC is tested on every batch to meet specification requirements of less than 0.05%. 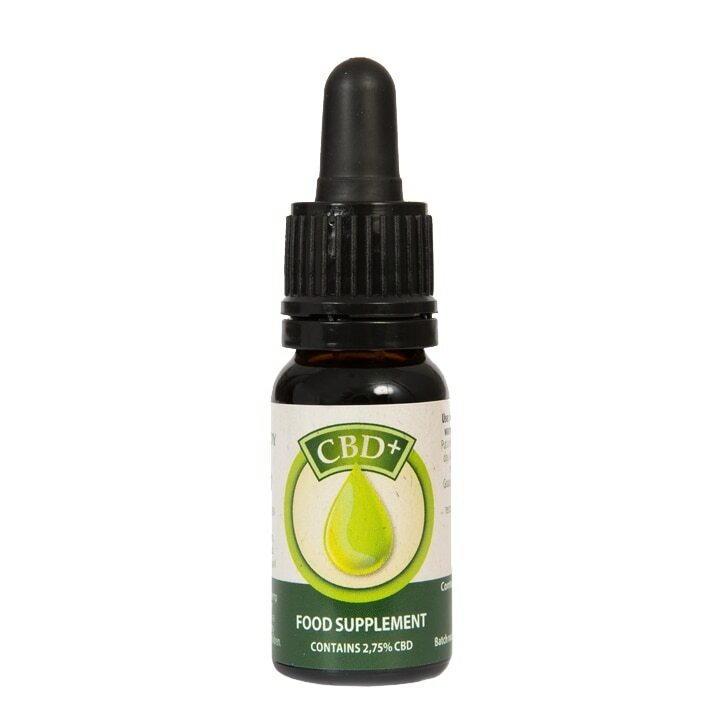 CBD+ Oil has a 'distinctive' taste - have a small drink of water after taking the oil and the taste will be gone within 30 seconds. To find out more about CBD Oil, head over to our Health Hub for more information. Put a few drops under the tongue 2-3 times a day. Max 15 drops. Leave the oil in the mouth for 1 minute before swallowing. Gradually build up the dose. This is different for every individual. Do not exceed the recommended daily allowance. Drink water afterwards to help with the taste. Keep out of reach of children. Do not use during pregnancy and breastfeeding. Do not exceed the daily recommended dose. Jacob Hooy CBD Oil 2.75% is rated 3.3 out of 5 by 343. Rated 1 out of 5 by Nadia15 from Leaks everywhere Wasted my money as the contents leaked all over my bag. Rated 5 out of 5 by ginger23 from Good stuff. Product has a pleasant slightly bitter hemp taste. Highly recommended, although as several other reviewers have pointed out the bottle does not close very well once the initial seal has been broken so care needs to be taken not to spill the contents.